Barcelona midfielder Rafinha has emerged as a surprise target for Borussia Dortmund and Arsenal ahead of the summer transfer window. Borussia Dortmund and Arsenal are join the hunt for Barcelona midfielder Rafinha, according to the football transfer rumours in Spanish Media. 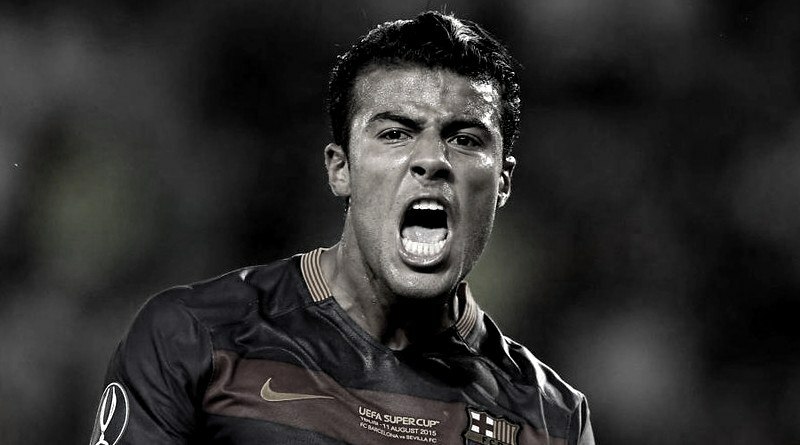 Rafinha has joined Barcelona from Barcelona B in July 2013. The 24 year-old has a valid contract with Barcelona until the June 2020. After his arrival from Barcelona B, Rafinha has scored 11 goals and provided eight assists in 76 games for Barcelona in all competition. Rafinha has also represented Spain at Under-16, Under-17, Under-19 and Brazil at Under-20 and Under-23 level, winning 25 caps across all age groups and scoring four goals. Since September 2015, Rafinha is a member of Brazil national football team, winning two caps and scoring one goal. The Brazil international has been in fine form for Bracelona this season. Rafinha has been target of Arsène Wenger as the manager look to bolster his midfield options for the next season. The 24-year old is thought to perfectly fit the profile of midfield player Thomas Tuchel wants to target in the next transfer window. Borussia Dortmund and Arsenal aren’t the only ones who are reportedly interested in the Brazil international. Real Madrid and Juventus are also thought to be tracking him.